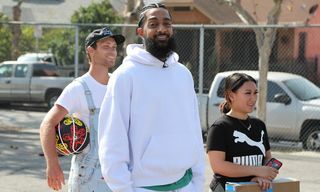 Yesterday, Thursday, April 11, a memorial service was held for the late Nipsey Hussle. 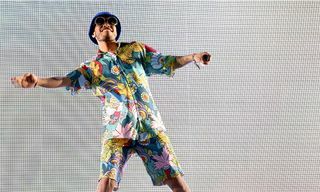 The rapper was the target of a fatal shooting in Los Angeles and passed away aged 33 earlier this month. 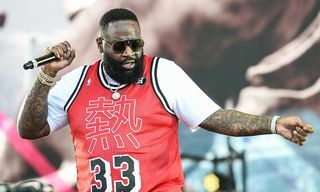 He is survived by his long-term partner Lauren London, their two-year-old son, Kross, and his seven-year-old daughter, Emani. 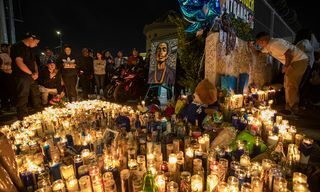 Ever since news of Hussle’s tragic death began to circulate, friends, family, peers, and fans around the world have reached out to share their condolences, with everyone from A$AP Rocky to Drake and Rihanna expressing their devastation. The rapper’s memorial service took place at Los Angeles’ Staples Canter, kicking off at 10am. 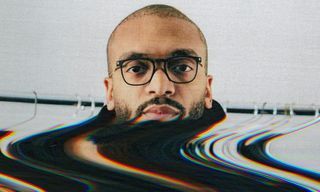 According to ET, who live-streamed the entire service, more than 20,000 people were expected to pay tribute, including Beyoncé and JAY-Z, who were in the crowd. 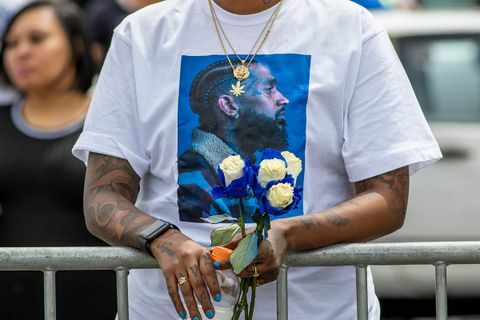 Here’s what happened during Nipsey Hussle’s memorial service. Firstly, the rapper was remembered with a photo montage set to Frank Sinatra’a “My Way.” Watch above. Snoop Dogg sent his love to Hussle’s family. Wonder then spoke about the importance of amending gun control laws in America. “It is so painful to know that we don’t have enough people taking a position that say, ‘Listen, we must have stronger gun laws.’ It’s unacceptable,” he said. Hussle’s family talked of his ambition, motivation, and legacy. Hussle’s mother and brother also gave very touching tributes, both speaking of the rapper’s love and faith. 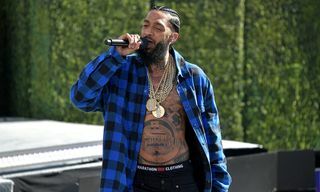 During the service it was revealed that former president Barack Obama had sent a letter of condolence addressed to the friends and family of Nipsey Hussle. It was read out by Karen Civil and spoke of the amazing impact Hussle had on his community. Head over to ET for more information about Hussle’s memorial service.